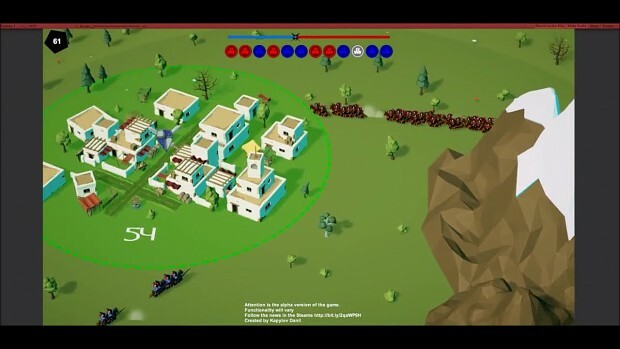 HORDE ATTACK - the game is in the genre of strategy in real time, where you have to travel through hostile lands to capture the city and destroy hordes of hostile tribes. Increase your Horde with 30 riders on a giant Horde of ignorant pity and fear. It's been almost two weeks since palsana publication. There is a thick preparation to release the game on Steam Early Access. During this time many things changed in it. 2. Changed the designation of cities and their allocation. 5. Was optimize game objects. She became faster. 6. Begins to transform the UI of the game.